Music streaming is the future, apparently, which means the digital download had a bright and brief existence—lasting from the end of the 1990s to (presumably) the end of the 2010s. 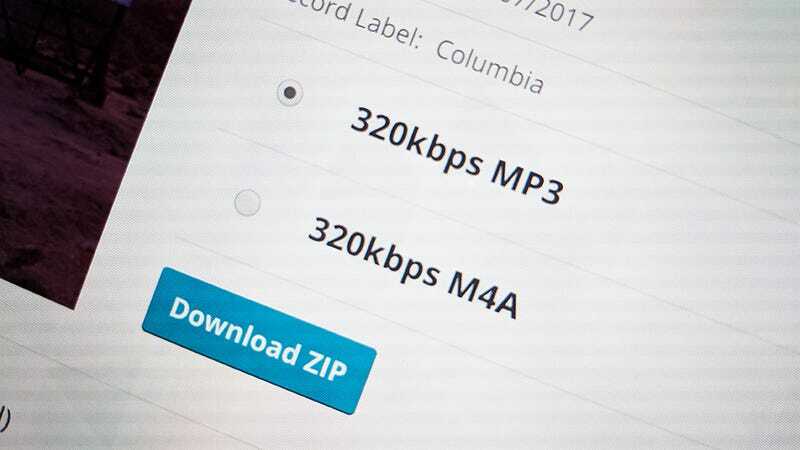 But before you erase all your carefully collected MP3s from the disk and close down the iTunes Store for the last time, we’ve got some very good reasons why you shouldn’t. Sometimes—many times—a digital download is still far superior to a stream. Firstly and most obviously, you own the music you buy, and you can keep it forever. (Well, technically speaking, you’re just licensing it, but you get the gist for the purposes of our argument.) Put down $10 a month for Spotify or Apple Music and you’re really just renting access—stop paying and the access stops, or gets severely limited. A monthly subscription fee may not seem like much to get at most of the music ever created in history, but you’re going to have to keep on paying, and paying, and paying, for as long as you want to listen. There’s no cost-saving strategy here, whereas if you’re buying music to keep, you can have periods of splurging and saving. Music streaming is amazing value for discovering new music, and a lot of people may want to keep up a subscription while buying downloads (or ripping CDs) as well, but if you’re not really listening to any new tunes then you’re essentially forking out for nothing. There’s more than one way to discover new music, too. The aforementioned music streaming services let you sync music for offline listening—for a monthly fee—but there are all kinds of restrictions about the types of devices you can do this on, and how many devices you can use, how many playlists and songs you can save, how long you can stay offline for, and so on and so on. Compare that with buying digital downloads, where you can save your tracks to disk and do just about anything you like with them. Stick them on a USB stick? Done. Back them up to an external hard drive? Done. Save them to your Chromebook’s local storage for your long trip without Wi-Fi? Also done. That’s before we get to the issue of smart playlists, something that’s been left behind in the streaming era. Spotify can’t get all of your five-star rated songs from the 1980s that you haven’t heard in at least a month synced over to your iPhone, but as long as you’ve bought the tracks, iTunes can. The big music streaming services all have music catalogs that are massive and relatively stable, but there are still times when something you want can’t be found—The Submarines’ 2011 record Love Notes/Letter Bombs was the most recent album that Ie couldn’t find on any streaming service, so ended up buying for keeps. Spotify et al. will of course have all the major names from the major labels, but deals come and go, and there’s no guarantee that the more niche artists have their whole collections available via streaming services. On top of that you have all the rarities, b-sides, and live tracks that make it worth maintaining your own local music library. Having your own catalog also makes it easier to rediscover hidden gems from times gone by, something that’s far less likely to happen if you’re always queueing up new music on Deezer or Google Play Music or whatever. Rather than relying on the algorithms thrown up by the music streaming services, you can rely on your own judgment and curating skills. There are all kinds of arguments here beyond the ones above—including ones over audio quality and whether it’s still worth buying CDs and vinyl as well as (or instead of) digital downloads, but the central point remains: You can do much more with music you’ve paid to keep rather than music you’re renting. Whether today’s music lovers care is another matter—digital track sales dropped by 23.4-percent to 554.8 million last year, Nielsen reports, even while overall music consumption continues to rise, especially on streaming platforms. Horrible rumors persist that Apple will eventually ditch the downloads section of iTunes and go all in with Apple Music. In 2018 ease and convenience trumps almost anything else, and that applies to music listening habits as well as take-out orders and TV binge-watching. Buying your tunes might cost a little more and take a little more effort to organize, but it’s one tradition worth keeping alive—so buy an album download today and help the cause.